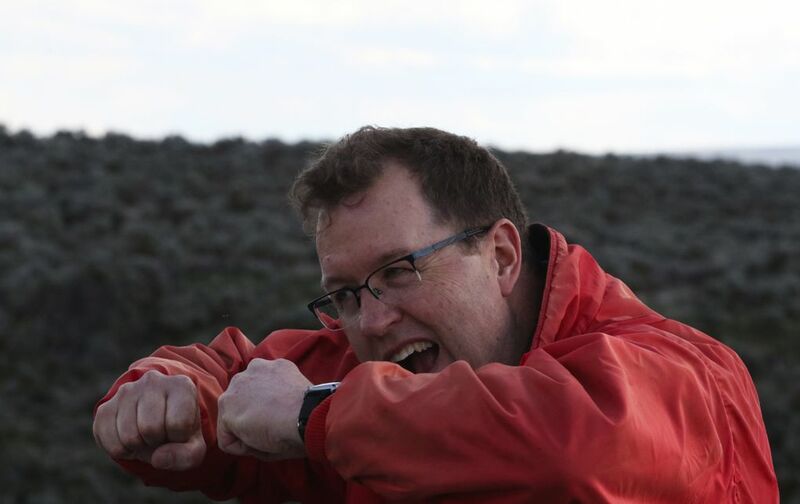 Nick Zentner’s short videos, featured online and on KCTS 9, introduce the region’s geologic wonders in ways that are playful as well as scientifically sound. 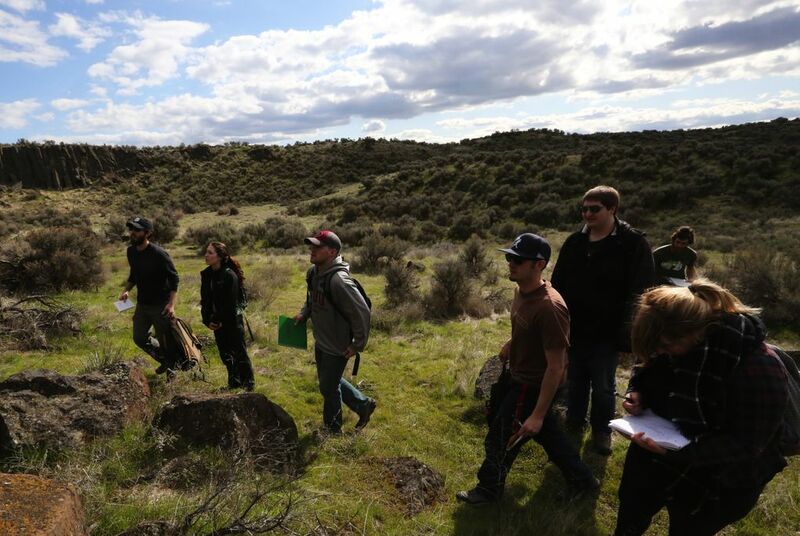 ELLENSBURG — For anyone who digs geology, the Pacific Northwest is better than Disneyland, says Nick Zentner. You want mountains? We’ve got more than 60,000 square miles of them. Volcanoes? Half a dozen snow-capped cones tower over our patch of the Pacific Ring of Fire. East of the Cascades, fantastical falls and coulees mark the path of some of the most powerful floods in the planet’s history. “It’s like all different kinds of rides in one big amusement park,” said Zentner, an instructor at Central Washington University who wants to be your guide to the region’s star attractions. 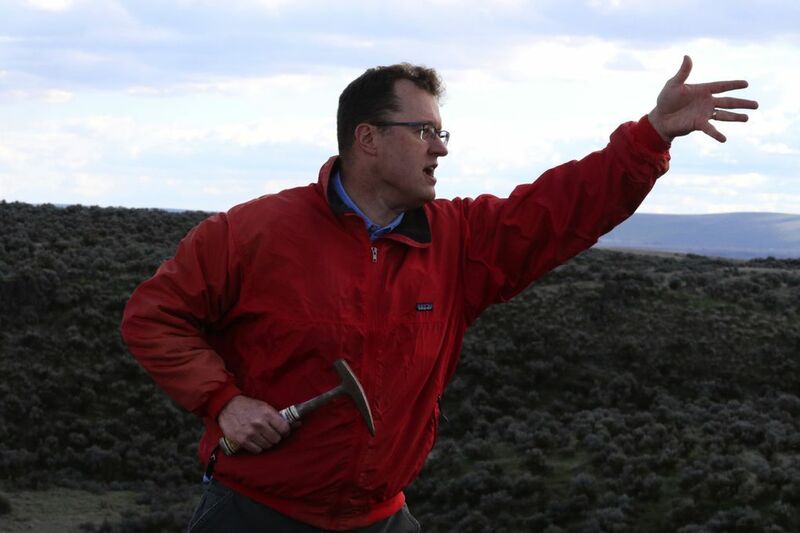 In a series of short videos airing this spring on Seattle PBS station KCTS 9, Zentner introduces viewers to geologic wonders ranging from the 50-story-tall Osceola Mudflow that roared off Mount Rainier in the not-so-distant past, to a gold mine near Cle Elum that’s still yielding nuggets. 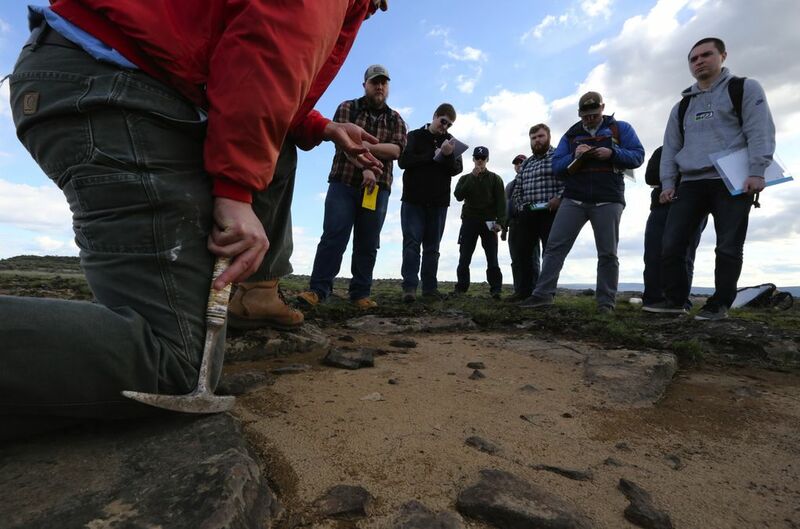 Called “Nick on the Rocks,” the new series is the latest iteration of Zentner’s ongoing crusade to bring the drama of Northwest geology to life for everyone — not just academics and die-hard rock hounds. 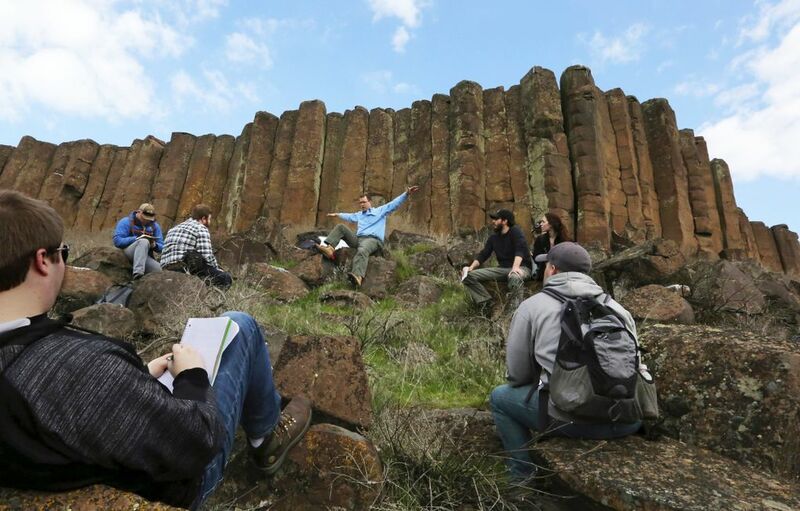 He started almost 10 years ago with hourlong public lectures in Ellensburg prompted by a steady stream of questions from curious — and observant — locals. 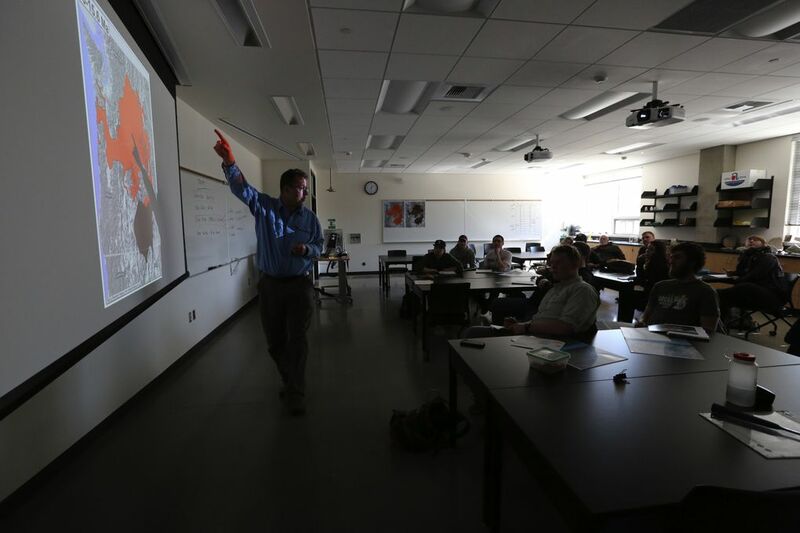 Ranchers, farmers, office workers and students packed the auditorium for Zentner’s animated descriptions of the molten rock that surged across the area millions of years ago, creating the miles-thick Columbia River basalts. It was standing room only when Zentner discussed Ellensburg blue agates — rare gems forged by chemical reactions in some of those basalts and scattered across the valley by ancient rivers. • Nick Zentner’s public lectures and other videos can be found online at nickzentner.com. 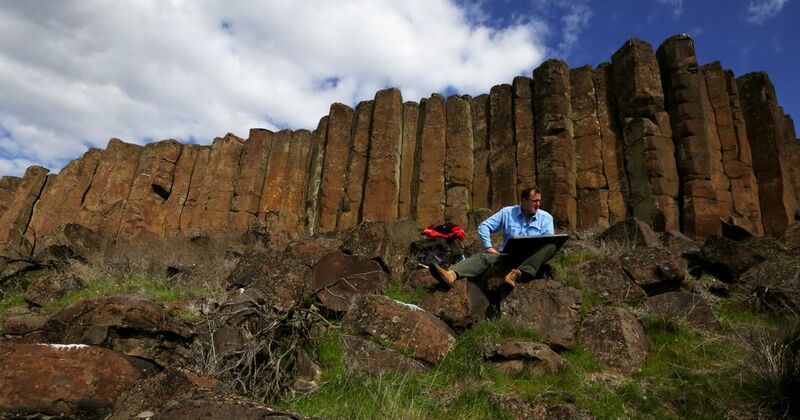 • “Nick on the Rocks” airs on KCTS 9 through April and May at 6:30 p.m. Sundays and 8:50 p.m. Thursdays. After his first few lectures, Zentner was surprised when friends, neighbors and strangers in the grocery store kept clamoring for more. That led to his first videos, including a series called “Two-Minute Geology,” for which he donned a signature red bow tie. For “Nick on the Rocks” Zentner ditched the tie and cranked up the production quality. Drone footage by cinematographer Chris Smart captures the scale of vast geologic features. Computer animation re-creates the ice-age floods that burst from a glacial dam and bulldozed Eastern Washington with 10 times the force of all the world’s rivers combined. In the middle of it all is Zentner, pacing and narrating with gee-whiz enthusiasm. He poses the questions geologists asked when they tried to puzzle out the forces that shaped the landscape: What happened to rocks ripped away by the ice-age floods? Where did the rivers of magma that formed the Columbia River basalts originate? The answers Zentner presents in the five-minute segments combine simplicity and scientific rigor. “If you’re too hard-core, you turn people off,” he said. “But it’s got to have meat, and it’s got to be entertaining. His fans say Zentner’s a master at finding the right tone. 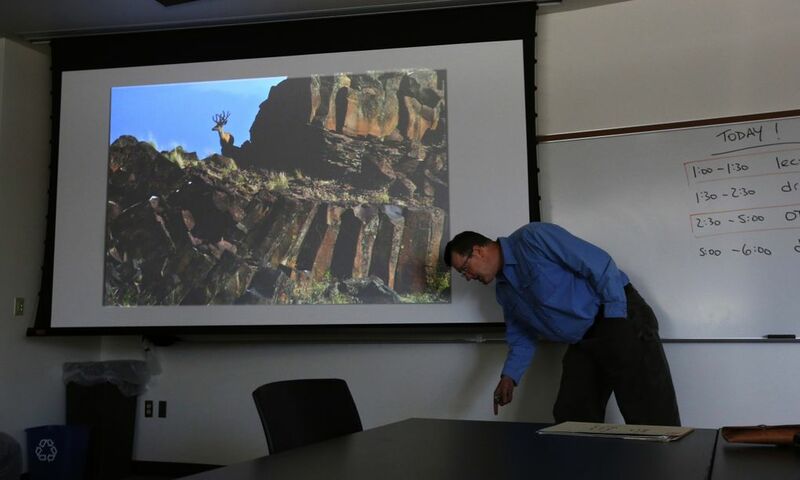 Andy Buddington, who teaches geology at Spokane Community College, often shows Zentner’s videos to his own classes. 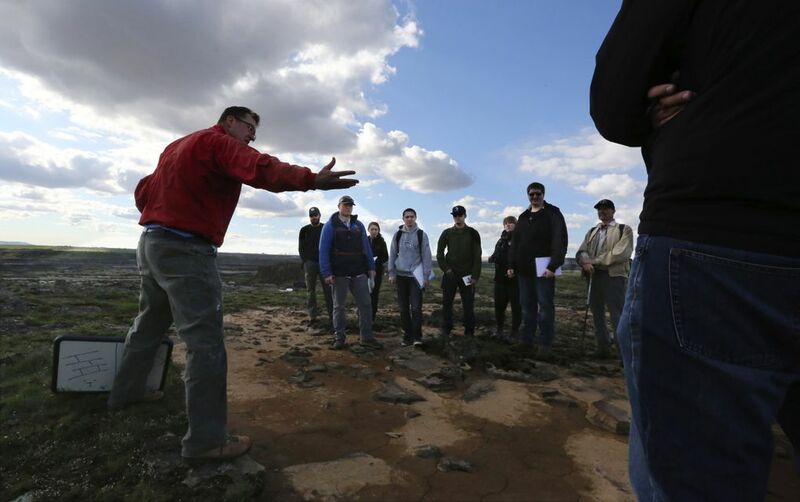 Buddington helped convince the National Association of Geoscience Teachers to give Zentner one of its top honors — the 2015 James H. Shea Award for communicating earth sciences. Zentner grew up in a small Wisconsin farm community where both his parents were teachers. Come summer, they’d pack the kids into the car for road trips out west. Zentner recalls sulking in the back seat, but being secretly thrilled by the Grand Tetons and the geysers of Yellowstone National Park. Still, he never expected to be an educator. 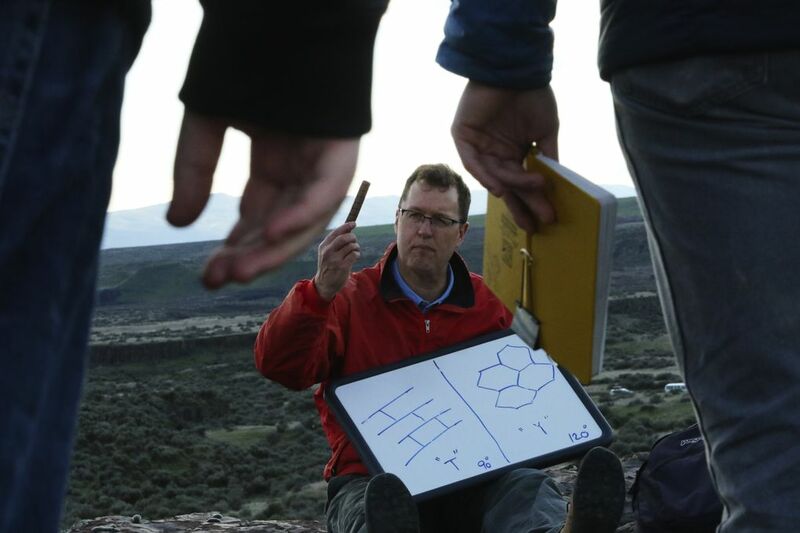 But a passion was ignited when he was pressed into teaching geology as a graduate student at Idaho State University. 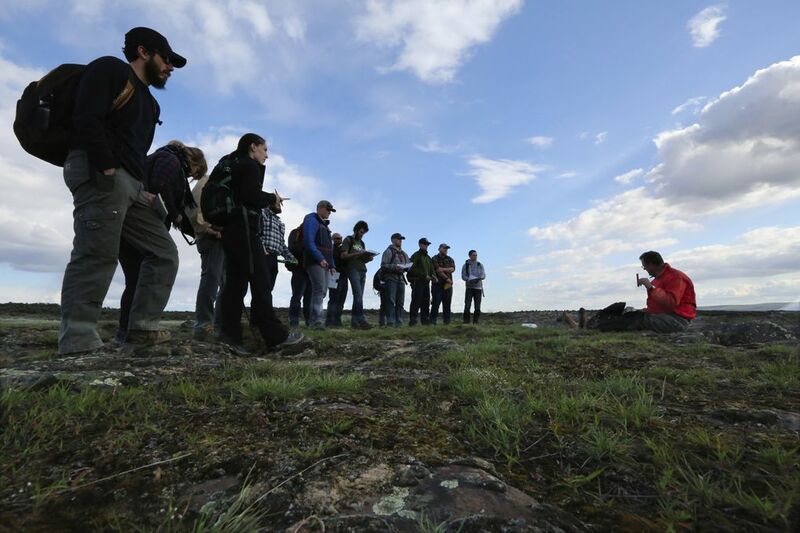 Zentner strove to emulate his best professors, particularly those who emphasized observation and fieldwork. He couldn’t stand faculty members who “acted like they walked on water,” so he vowed to avoid pretension. With his short-cropped hair and button-down shirts, Zentner could pass for a 1960s-era engineer, minus the slide rule. 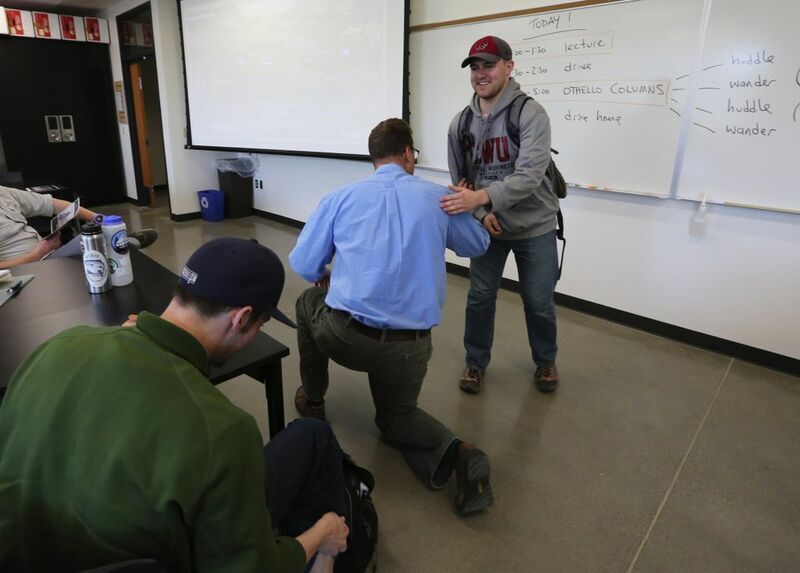 He’s on a first-name basis with every one of CWU’s geology majors, and invites local residents to sit in on his classes. A retinue of retirees often tags along on field trips. Before a recent outing, Zentner joked with students and briefed them on what to expect. The area they would be visiting near Othello, Adams County, is called the Drumheller Channels, he explained. 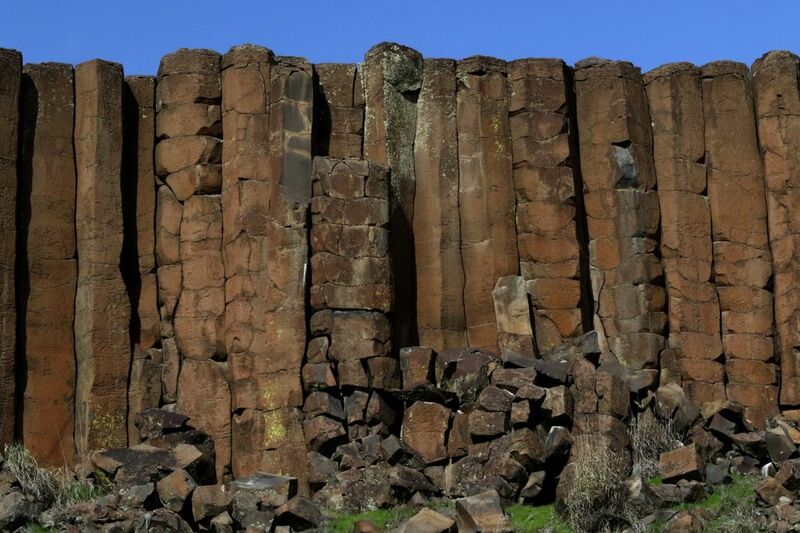 Ice-age floods gouged away the soil, exposing layers of basalt arranged into columns of almost architectural precision. The question for the students was: Why columns? In the field, he instructed the group to start by simply looking around them. “Write down as many observations as you can, and the burning questions you have,” he said. 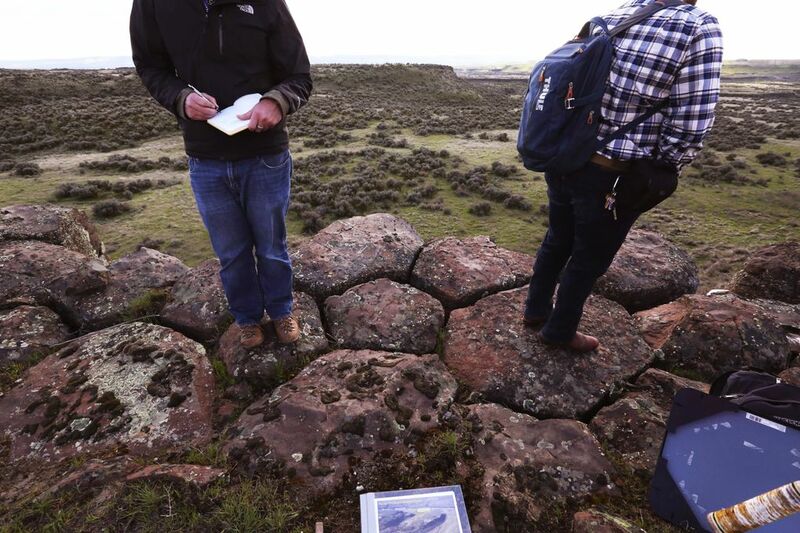 Later, he and the class would gather atop the basalt colonnade and jointly converge on an explanation: As molten rock cools from the surface inward, it often cracks into geometric patterns like drying mud. In thick lava flows, the result is vertical columns packed together like a bundle of pencils. Earlier, while Zentner waited for the students to gather, he riffed on a draft script for a video about the formations. For those whose appetites are whetted by the “Nick on the Rocks” series, Zentner recently consolidated his public lectures and other videos online at nickzentner.com. “Nick on the Rocks” airs through April and May at 6:30 p.m. Sundays and 8:50 p.m. Thursdays. Online videos are also available at KCTS 9’s website. Zentner and Smart are already at work on the second season. Among the topics are the Seattle Fault and its most recent catastrophic rupture, and the formation of Hell’s Canyon, North America’s deepest river gorge. The hardest part, Zentner said, is deciding what to feature in a region with such a rich geologic past and potentially volatile future.